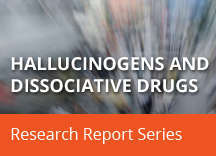 Home » Publications » Research Reports » Hallucinogens and Dissociative Drugs » Why Do People Take Hallucinogenic or Dissociative Drugs? Hallucinogenic and dissociative drugs have been used for a variety of reasons (Bogenschutz, 2012; Bonson, 2001). Historically, hallucinogenic plants have been used for religious rituals to induce states of detachment from reality and precipitate “visions” thought to provide mystical insight or enable contact with a spirit world or “higher power.” More recently, people report using hallucinogenic drugs for more social or recreational purposes, including to have fun, help them deal with stress, or enable them to enter into what they perceive as a more enlightened sense of thinking or being. Hallucinogens have also been investigated as therapeutic agents to treat diseases associated with perceptual distortions, such as schizophrenia, obsessive-compulsive disorder, bipolar disorder, and dementia. 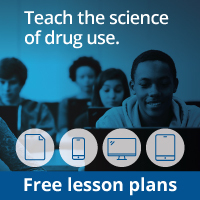 Anecdotal reports and small studies have suggested that ayahuasca may be a potential treatment for substance use disorders and other mental health issues, but no large-scale research has verified its efficacy (Barbosa, 2012).